Chael Sonnen vs Michael Bisping, UFC’s Next Attraction? When UFC 127 ended, many fans immediately asked whether there can be a Sonnen vs Bisping fight. It's possible, but no one can tell when will the match happen. After earning his victory at UFC127, Michael Bisping seems to have prodded a hornet’s nest. And now, Chael Sonnen is setting his eyes on The Count for his UFC return. In fact, the top UFC middleweight contender sent an e-mail to the promotion’s matchmaker – Joe Silva – to request a fight against Michael Bisping one of these days. Even Chael Sonnen’s manager, Mike Roberts, relayed his client’s desire to face Michael Bisping as soon as he returns to action. Chael Sonnen is awaiting a comeback after a hiatus from fighting due to personal issues. And it seems that he is ready to stir things up, with Michael Bisping being the first person on top of his list. There’s no definite date on when Chael Sonnen will appear again in the promotion, but a Sonnen vs Bisping fight is definitely a match that UFC would want for him. How about you? 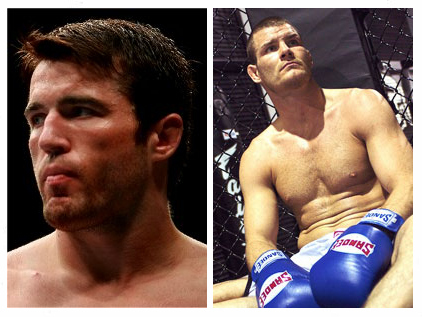 Are you itching to see a Sonnen vs Bisping brawl?